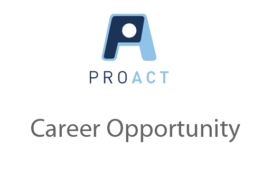 Job Posting - Direct Service Professional - Eagan - ProAct, Inc. Serving people with disabilities for more than 45 years. *May be required to pass DOT Physical; drug and alcohol testing. Job Description: Provides supervision, training, daily documentation, job set up and support to workers with disabilities in a manner which enables them to achieve their goals and objectives. Ensures assigned jobs are completed according to quality specifications and documentation of production and shipping information is done daily. Communicates clearly and effectively with workers and supervisor. Experience working in a warehouse setting preferred.